Senator Kamala Harris (D-CA) recently introduced the Rent Relief Act, a bill that would provide a refundable tax credit for cost-burdened renters. Two bold proposals to help low-income renters were recently introduced in the Senate and House that would provide a refundable tax credit to renters who are paying too much of their income for their housing. If passed, the Rent Relief Act’s tax credit will apply to individual renters earning up to $100,000, or $125,000 in areas with high housing costs like San Francisco. It will be refundable, which means renters will get the money even if they owe no taxes after deductions. The credit would reimburse the difference between 30% of a household’s income and the cost of their rent and utilities, capped at 150% of the area Fair Market Rent. Very low-income renters will receive a dollar-for-dollar credit for rent paid above 30% of their incomes. Renters with higher incomes would receive less credit on a sliding scale. Renters earning below $25,000 would get 100% of the credit, those earning $25,000-$50,000 would get 75% of the credit, those earning $50,000-$75,000 would get 50% of the credit and those earning $75,000-$100,000 would get 25% of the credit. Households in federally subsidized housing would claim the value of one month’s rent for a refund, since most federal housing programs cap rent at 30% of adjusted income. These two bills aren’t the only recent proposals that would give a refundable tax credit to renters. In August, Senator Cory Booker (D-NJ) introduced the Housing, Opportunity, Mobility, and Equity (HOME) Act; a refundable tax credit that would benefit renters with earnings at or less than 80% of area median income. The tax credit would cover the difference between 30% of a household’s income and their rent and utility costs. It would be capped at 100% of the area Fair Market Rent. 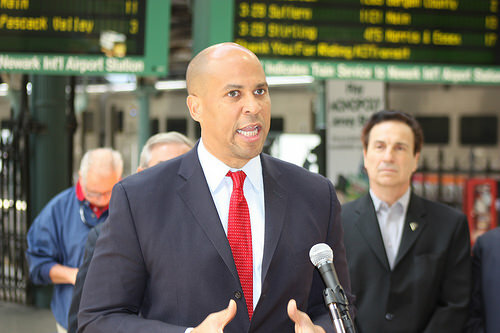 In August, Senator Cory Booker (D-NJ) introduced the Housing, Opportunity, Mobility, and Equity (HOME) Act; a refundable tax credit that would benefit renters with earnings at or less than 80% of area median income. The HOME Act would also require local governments that receive Community Development Block Grant (CDBG) funds to address regulatory and zoning policies that drive up housing costs and limit the private sector’s ability to build rental homes that are affordable to the middle class. The National Low-Income Housing Coalition (NLIHC) has a chart comparing the two renter tax credit bills that you can see here. There is little hope that any of these bills will be passed in a Republican-controlled Congress. However, a new Congress will convene in January after November’s midterm elections. The bills can be introduced again in the new Congress, and may have a chance to pass if Democrats win control of the House or Senate. 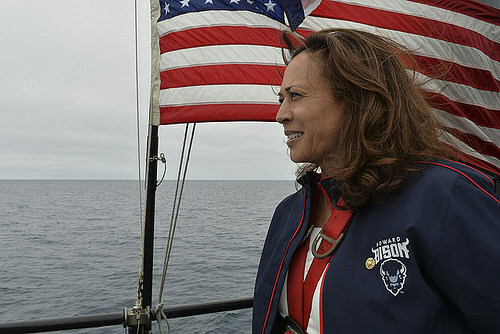 Also, Senators Harris and Booker are both considered possible presidential candidates for 2020. This makes it more likely that the issue of renter tax credits will gain more visibility and support over the next two years. If enacted, a renter tax credit would be a huge benefit for low-income renters. It will help stabilize housing by reducing the likelihood of eviction. It will allow families to have more income available to afford the basics, like food or medicine. It will allow many to afford the child care and education they need to get and keep better jobs. Affordable Housing Online will continue to follow the progress of this legislation. You can help by telling your Representative and Senators to support renter relief tax credit bills that help families stay in their homes. You can reach your members of Congress by using the form on this page. An email will go straight to your Representative or Senators. It only takes 60 seconds. Please let your Congress person know how you feel now!